Deri Washington is an experienced and creative interior designer whose main focus is service. She earned her degree in interior design from Ashworth College in Norcross, Georgia. Deri founded her own interior design company, Tranquil Designs, LLC in 2009. Deri is known for her attention to detail and her ability to visualize what her clients’ needs are and then translate their vision into reality.Deri has worked on a number of projects in all sizes, from full-house design to simple color consults. She has worked on a number of commercial projects, including office spaces, as well. Deri’s passion for design shows in her work – she believes that you change someone’s life by simply transforming their space.Deri has a heart for community and has developed a program within her business to give back. 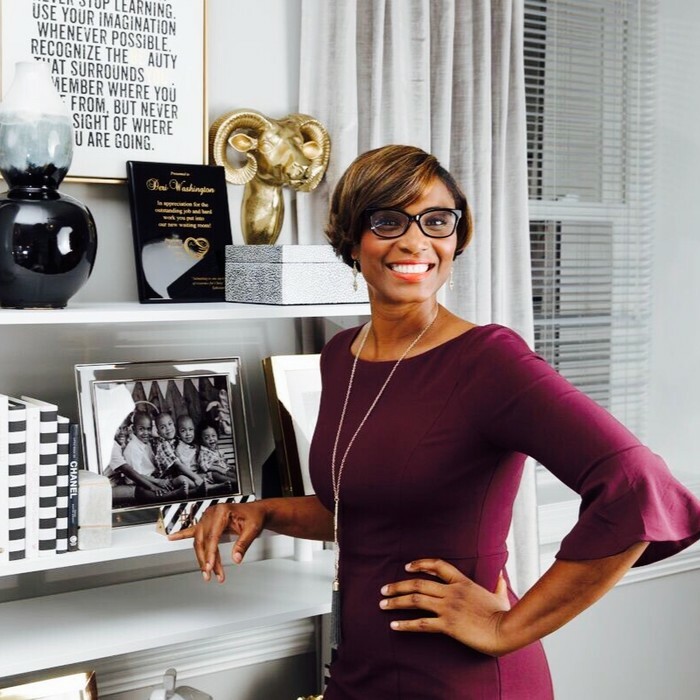 Every year she chooses a nonprofit organization in her community and donates her designs skills and any furniture needed to makeover one room in that organization.